There are many spectacular golf courses waiting to be discovered in Edinburgh and the surrounding area. We will take you on a Scottish golf tour at an affordable rate. One may not normally associate Edinburgh with golf, but you can actually find some famous and historic golf courses in the area. The golf courses in the city boast some beautiful views. What better way to score a hole in one than with Arthur’s Seat or Edinburgh Castle as a backdrop? There are many golf courses and a great golf history just waiting to be discovered in Edinburgh. The question is, what’s the best way to discover it? 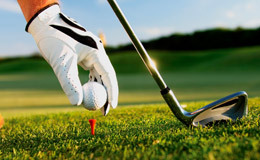 Capital Cars specialise in travel for Golfing Trips. Whether you want to fit a couple of rounds into the schedule of your business trip, or take a tour of all the local golf courses, we can create a journey to suit you. We have a lot of experience when it comes to golf tours of Edinburgh and are happy to advise on which routes will best suit your itinerary. We are also happy to cater to large groups. For a golfing trip to remember in an area rich in golfing heritage, arrange your day with Capital Cars.